“Dreams come true” is a popular saying but that is hard to believe especially if you are from a Third World country with a humble background. Nothing seems to work and everything seems more of supernatural than it ought to be. Uncles, brothers, nieces and neighbors all telling, mostly, tales of woes that spurns nothing but hopelessness and desire to give up even before you give it a try. Dreams seem more of a luxury that only the rich and affluent can afford. If you are like me then you must also find it hard to believe dreams do come true. A richman (Mr John) with humble beginning once shared his story with me and I will like to share same with you, an evidence that dream is a gift from God to everyone (rich or poor) to help us model our lives to fulfill purpose. John came from a humble background. His parents were so poor they could barely afford two meal a day. His father, Mr Andrew Obi was a farmer while his mother, Mrs Mary Obi was a petty trader. Despite their low life, they struggled to send John and his younger sister, Deborah to good schools. They believed giving their children good and qualitative education would give them a much better and admirable life in the near future. This is the belief of every parent in the part of the world where I came from, Nigeria. John was an average student. He studied hard to pass his exams and ensures he gets promoted every year. He could not afford to disappoint his parents who go the extra miles to ensure he gets good education. Even as a little boy, John had a dream to become great in life. John believes he is a ticket to liberating his family and changing the course of his family history. As John grew, life started happening. He got admitted into a university to study biochemistry. While in his sophomore, he lost his father to road accident. Mr Andrew had just harvested few crops from his farm. As he usually does, he gathered his harvest and tied them to his bicycle and headed to the market. On his way, Mr Andrew got knocked down by a vehicle driven by a drunk driver, he died on the spot. John wept bitterly and silently prayed for the world to crumble but unfortunately for him, the world wouldn’t. Due to the upheaval caused by the death of his father, John’s performance dropped in school. Nevertheless, he kept holding on to his dreams. He vowed never to allow his background put his back on the ground. He was determined to come out great in life. He started doing menial jobs to sustain his education and support his mum and sister. It was tougher than it used to be and it really affected his academics. Although he had no social life it was still very hard to make ends meet, but he would not accept defeat. He kept his focus on his dream to liberate his family. Two years later, John graduated from the university with a second class lower. However, this would not deter him. John’s experience from menial jobs grew his passion for entrepreneurship and lack of capital couldn’t stop him because he understood the concept of starting small. He started a construction business with nothing but his dreams and hopes. As providence would have it for John, after few years of hardwork, relentless commitment, doggedness and honesty he was able to attract people to invest in his business; mostly people he had worked for before, who also gave good referrals and some suppliers who extended credit supplies to him. Ten years down the line, about 35years of age, John’s dreams became reality. He became wealthier than he dreamed of and life of struggle and poverty became a story he shared to motivate people coming behind him. All because he realised where he was coming from and never gave up on his dreams in spite of all life threw at him. Dreams are pictures of what and where you want to be in life. it is a picture that becomes a part of you. Dreams are what you hold on to when the future looks uncertain. Some people mix dreams with desire but they are different. Dreams can be likened to a hunger while desires can be likened to craving. Consider the difference between a craving and a hunger: Desires are fleeting infatuations while Dreams are fundamental necessities. Cravings will fade but will never be satisfied. Hunger can be satisfied with proper nutrition but always grows if unrealized. The world needs Dreamers not just Desirers. Dreamers Ahead gives a smooth cruise into the life of two Great Dreamers and Achievers in our society who at one time had hit the rock bottom. Who regardless of what they went through, never allowed their backgrounds to put their backs on the ground by simply holding on to their dreams regardless. 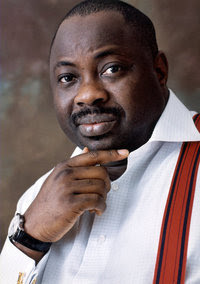 Dele Momodu is a Nigerian journalist /publisher, polemicist, business man, philanthropist, actor and a motivational speaker. Was born 16th May 1960, he is the last of three siblings. He lost his dad at age 13 relying on his mum and relatives for support. His mum’s source of income was petty trading. She labored so hard to sustain her family. Dele wrote the West Africa Examination Council (WAEC) three times before he passed. 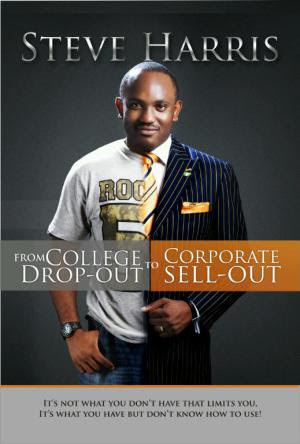 He later got admitted into the university to study Yoruba language and he holds a masters degree in English literature. After several years of hard work and commitment, He now wine and dine with the who is who in the society. A man of great wealth and wisdom, Dele was once a presidential aspirant of the Federal Republic Of Nigeria. ( Culled From: Wikipedia, 2015). Steve Harris is a man I love and respect so much. Beyond being a dreamer, Steve is one focused man I’ve seen in life. A man of big dreams and endless passions to become a voice in his generation. By the time Steve was 25 years old, He had dropped out of school twice, been an office assistant twice, experimented with addictive substances and was receiving an allowance from his little sister. He had hit rock bottom and that was his wake up call. He determined to change his life. And in 10 years, he has become a successful Life & Business Strategist, coaching individuals and organizations to achieve High Performance in 90 days or less. And today, Steve Harris is a brand to be reckoned with in Africa. (Culled From: The 2015 live Tele-conference with Steve Harris, Bankole Williams and Jimi Tewe). Regardless of how many times you have failed or how terrible your background is, all that is truly required of you for greatness in life is a DREAM and a sincere commitment to see that dream come true. There is a dreamer in you that is seeking to be expressed. Give it place and let it be a dream with no limits. The world has an habit of creating room for those whose thoughts, words and actions shows they know where they are going. Even though they’re dreamers whose dreams have given essence and purpose. When you dream, DREAM BIG and work at making it come true. According to Collin Powell, “A dream doesn’t become a reality through magic; it takes sweat, determination and hard work”. 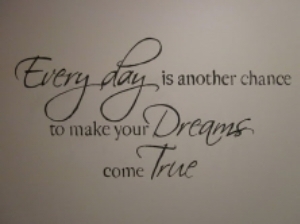 Harriet Tubman said “Every great dream begins with a dreamer. Always remember, you have within you the strength, the patience and the passion to reach for the stars to change the world”. Let your dream excite you. With hard work , determination and trust in God, dreams come true. Dare to Dream • Dare to Believe • Dare to Achieve.